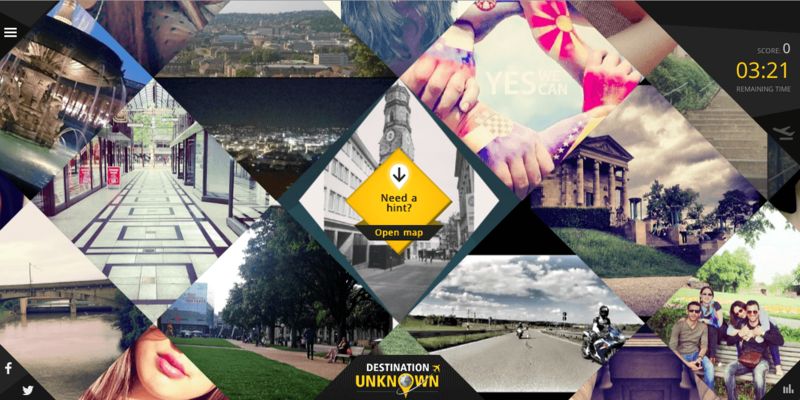 With the stunning rise in popularity of user-generated content, Amsterdam Airport Schiphol has turned to Instagram images to power a new interactive game called Destination Unknown. The game challenges fans to correctly identify some of the more than 300 flight destinations from Amsterdam and is highly addictive. Once the user begins the game, they’re prompted with a series of location-based Instagram images. Images for the game are sourced using hashtags from a custom built content management system. As the images rotate, the four-minute time limit decreases. Hints such as airline, flight duration, and local time can assist in identifying the location, but also deduct time from the clock. The challenge? Some of the images are obscure, while others show specific landmarks, adding a layer of difficulty to the game. Following the game, users are prompted to submit their score into the contest, subscribe to the airport’s newsletter, or play again. The top 50 scores have a chance to win two free airline tickets to a destination of their choice. Although the game isn’t perfect – it’s slow to load and some Instagram image spam sneaks through – there’s an addictive element to it. Overall, the pairing of user-generated content with a quiz type game is a strategic move. It’s also somewhat unexpected from an airport versus say, a tourism board, airline, hotel, or other attraction. User-generated content has been popular in the travel industry for some time, whether it’s reading a review on an online review site, or seeing photos shared by a friend during their vacation. Word-of-mouth social sharing of images, videos and online reviews have been proven to greatly influence travel decisions. 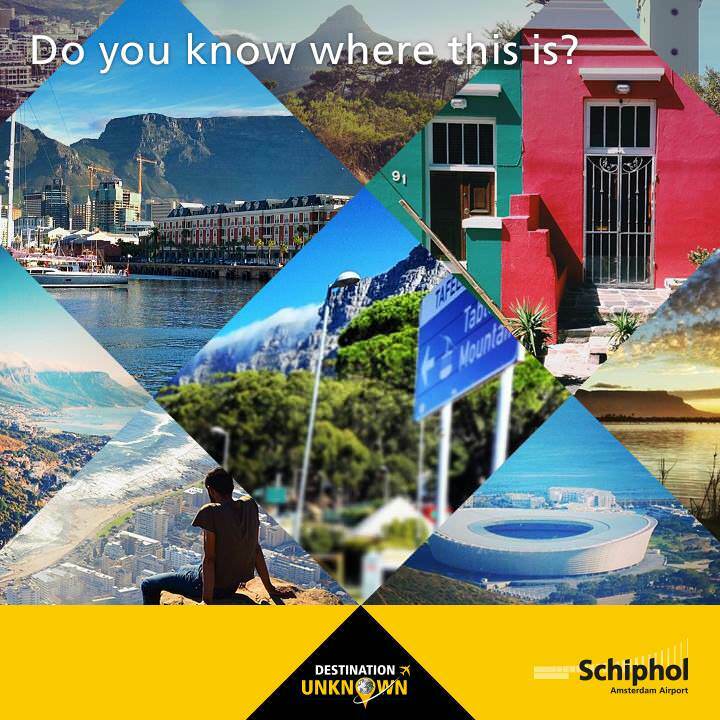 In this campaign, user-generated images support the airport’s goal of raising awareness of the destinations travelers can visit from Schiphol. It would be challenging for the airport to source content from so many destinations at scale, so inviting users to be part of the process is helpful and ensures a breadth of unique location based content. The style of UGC imagery also allows game players to see each locale through the eyes of travelers. The game element adds the addictive layer to this contest. Simply pulling in user-generated content alone may not prompt visitors to spend time on the airport’s website. However, challenging travelers to test how well they know destinations around the world adds value. Plus, the contest’s four-minute time limit and potential to enter multiple times, could present compelling stats on the amount of time spent engaging with the game. Future elements of this game could include strategic partnerships with airlines with major hubs at Amsterdam Airport Schiphol (e.g. KLM), to facilitate lead-generation of flight search to those destinations. The airport could also consider partnering with tourism boards, online review, or travel booking websites to capitalize on offering information about travel tips, popular hotels and attractions at those destinations either via e-mail or in-game once the user has finished. For companies looking to harness user-generated content, there are a number of tools, such as Chute, Mass Relevance, Olapic, and more, which can help source permissions from people to use their images on a website or social media channels. How well do you know your way around the world? Test your knowledge here.